Securing new customers. As a startup, Ultimate Security & Investigations of America was in need of a piece that could introduce their company to customers and serve as a follow up to a request for info. 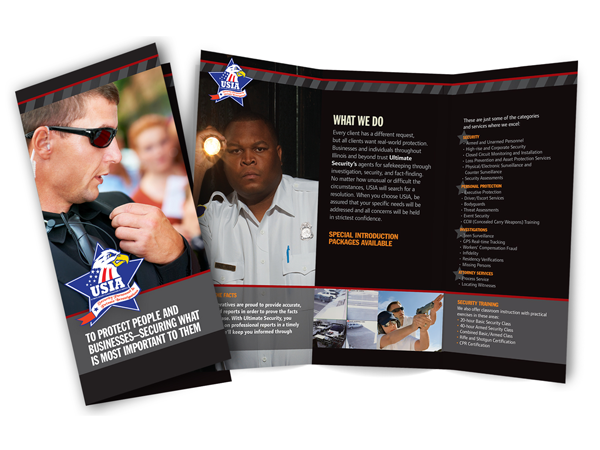 A downloadable version for the website was created to compliment this classic tri-fold brochure.